Welcome to Booktrader, Where Everybody Knows Your Name! Remember the theme song from Cheers and the sentiment it conveyed? Sometimes you’d like to go where everybody knows your name…and their always glad you came? 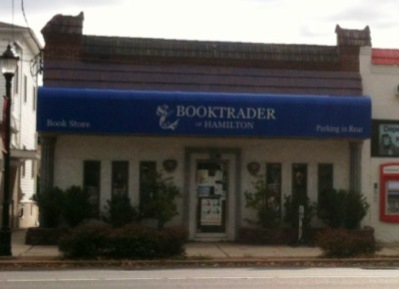 This jingle ran through my mind following an afternoon spent at Booktrader in Hamilton, NJ. We’ve heard so much about the impact the dawn of eReaders has had on the larger bookstores with the closing of Borders and the current struggles of Barnes & Noble. Having just recently discovered this small secondhand bookstore that has been in operation since 1984, I was intrigued to learn more about what makes it special and how it has stayed afloat all these years. Joan Silvestro has owned the store for 10 years and by my count is the 5th owner. I found Joan’s journey to bookstore owner interesting in that she never set out to own a store or run a business. A self-proclaimed Jack of All Trades, Joan has a background in Medical Technology and has worked in a variety of professions. She had been a long time customer of Booktrader throughout the years and its various locations until one day she was in the store while the owner at the time posted a sign in the window, “Business for Sale,” and so began her journey born from a love of books. My newest release, SECONDHAND ROMANCE, is set in a secondhand bookstore at the Jersey Shore, so I was very interested to learn how Joan’s approach to customer service and her business model differed or was similar to Annie’s. In many ways I (and Joan!) see Booktrader as a service to the community. 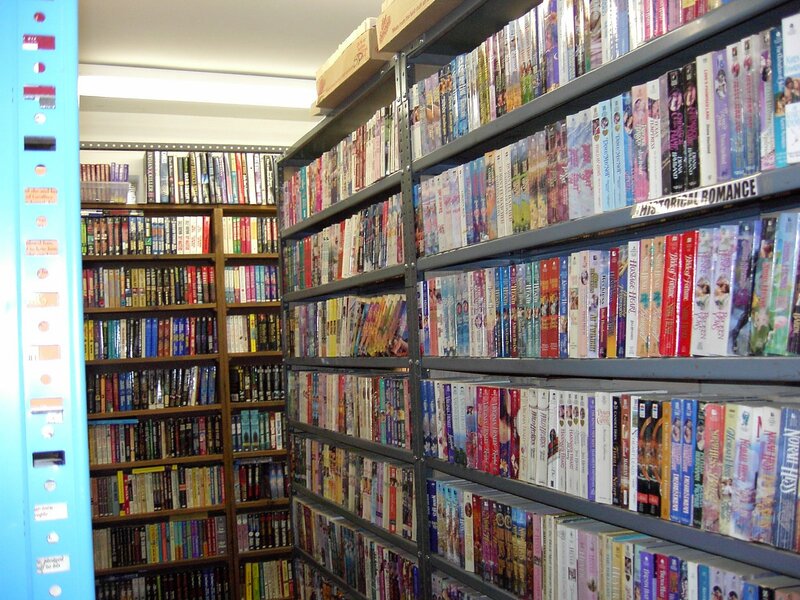 The store is really floor to ceiling a book lover’s paradise. For the most part, Joan likes like to trade in books no more than 5 years old and she does not like to turn away any books customers bring to her store to “trade.” Trust me when I tell you, it really is a trade. Customers receive a credit on all books brought in which then goes towards half of all future purchases. Booktrader has a computer system that keeps track of your credit which never expires. In fact, the computer also keeps track of every book purchased to prevent customers from purchasing the same book twice. The store then allows you to TRADE the books you’ve previously purchased at Booktrader back which then gets added to your credit once again. When people ask why they can’t cover their entire purchase with store credit Joan jokes that she would love to, but electric, water, and phone companies will not accept books as payment!